Before we even started talking about superfoods, the humble grapefruit was there, touted for decades as the superhero food associated with rapid weight loss. But there is more to this citrus than meets the eye – the benefits of grapefruit are far-ranging and include much more than weight loss. 1. Grapefruit helps you lose weight. Grapefruit has long been touted as a weight loss tool, though experts say that the somewhat super-natural powers that have been bestowed on the citrus aren’t necessarily the reality. 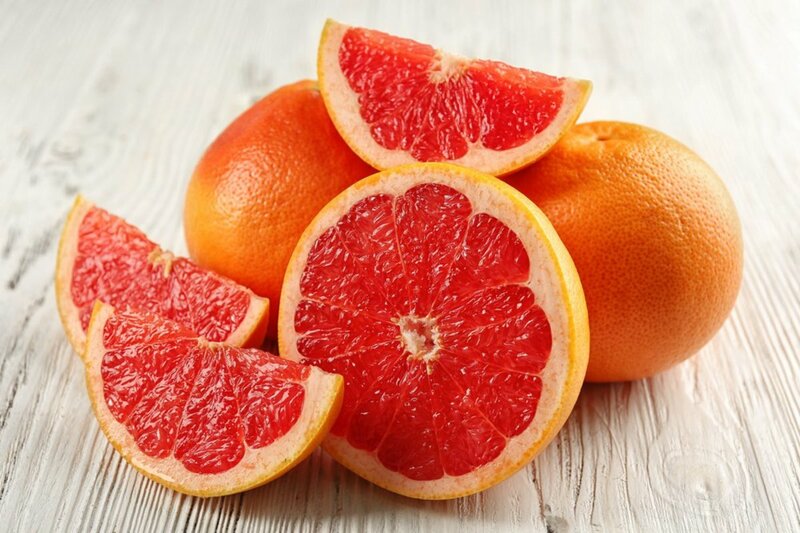 “While there is research that suggests that eating half a grapefruit before every meal can lead to greater weight loss, it’s mostly due to its fiber content (which keeps you full), blood sugar stabilization properties (helps mitigate cravings), and the fact that it’s generally lower in calories,” says naturopathic doctor Serena Goldstein. Some studies, however, continue to associate grapefruit or grapefruit juice with increased weight loss, such as a 2015 study in the Journal of Medicinal Food that showed that grapefruit juice contributed to a reduction of inflammation and therefore to weight loss in rats. So grapefruit may not be burning off the excess fat and calories ingested by a double cheese, but it can help you feel more sated at meals and reduce inflammation, both of which can contribute to weight loss. 2. It’s good for your brain. 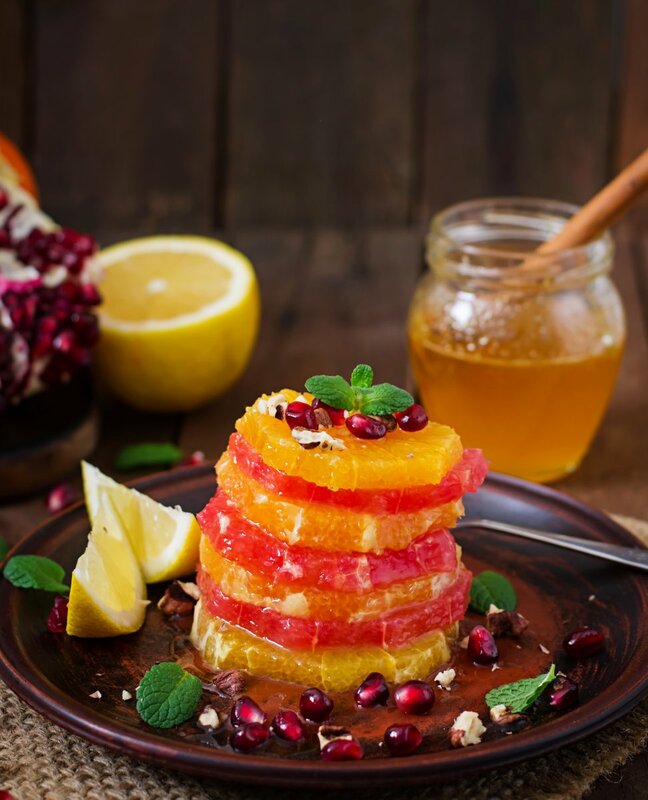 Grapefruit is rich in vitamin C, which not only boasts antioxidant and immune-boosting qualities but also is good for brain health, according to Goldstein. Studies have shown a link between vitamin C and protection against ischemic stroke, Alzheimer’s disease, Parkinson’s disease, and Huntington’s disease, and Jean Carper, author of “Your Miracle Brain,” says that vitamin C supplements can even improve IQ and memory. 3. Grapefruit helps build muscle. 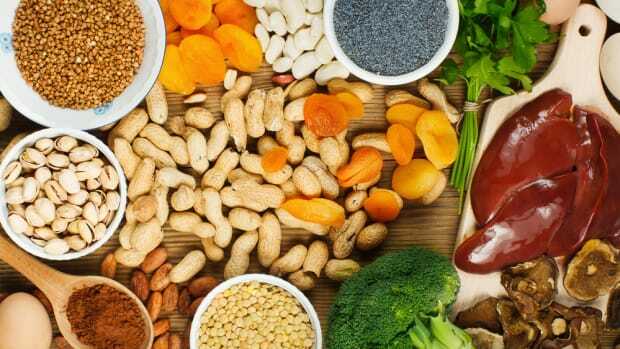 You might think that protein is the only way to build healthy, lean muscle, but potassium is another important element of muscle building. Potassium is an electrolyte whose transfer in and out of cells keeps muscles active and prevents strain and fatigue. 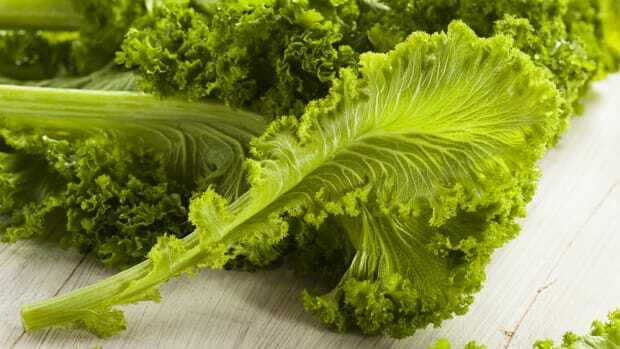 Potassium also helps retain all-important calcium for a strong skeleton to support muscle growth. 4. Grapefruit can protect your heart. Grapefruit is a great source of lycopene, an antioxidant also found in tomatoes. Lycopene has not only been linked by many experts to increased cardiovascular health, as in a 2014 study in Advances in Nutrition, but it has also been associated with a decreased risk in prostate cancer, as a 2013 study in the International Journal of Molecular Science showed. To reap these benefits, be sure to choose pink grapefruit, which contain more lycopene than the yellow variety. 5. Grapefruit can stave off UTIs. Cranberry gets all the credit for helping to reduce your chances of contracting a urinary tract infection, but grapefruit can be just as effective, according to a 2005 study in the Journal of Alternative and Complementary Medicine. This study showed that grapefruit seeds were even more effective than the juice in not only preventing but treating UTIs. Be sure to choose unsweetened grapefruit or grapefruit juice to reap this benefit, as sugar can make UTIs worse. When shopping for grapefruit, choose organic, if you can: grapefruit ranked number 38 on EWG&apos;s 2016 Dirty Dozen extended list. Also, opt for pink rather than yellow grapefruit when you can. 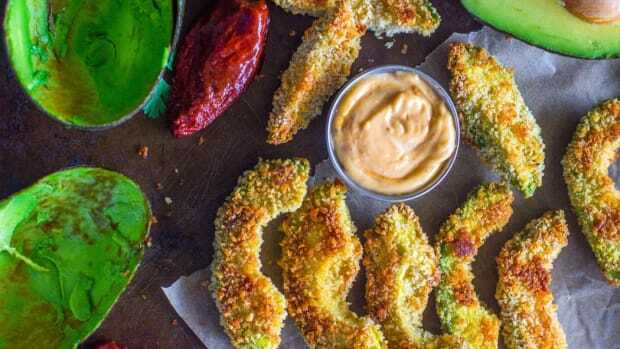 The former boasts more antioxidants and vitamin A, as well as lycopene, according to Goldstein. 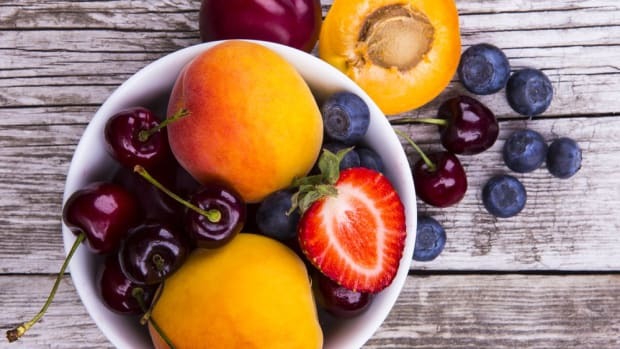 Consume the whole fruit, which will give you the fiber that juice will not. 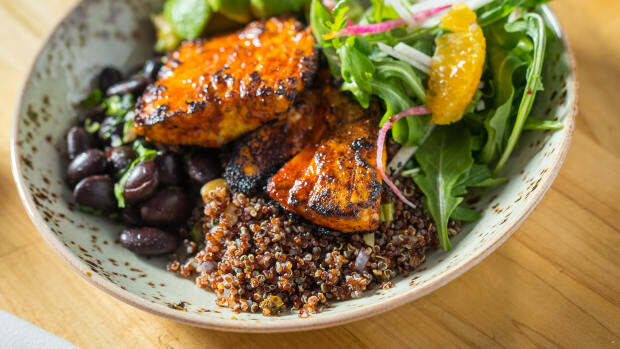 “When you eat the whole food, you know you&apos;re getting the constituents that make the food the superfood that it is, such as eating the whole grapefruit with the skin on the inside too,” explains Goldstein. Grapefruit essential oil is a very concentrated form of grapefruit. Used properly (either infused in a steam or diluted in a carrier oil), grapefruit essential oil can boost the immune system to help you get over a cold or help manage sugar cravings, according to Goldstein. 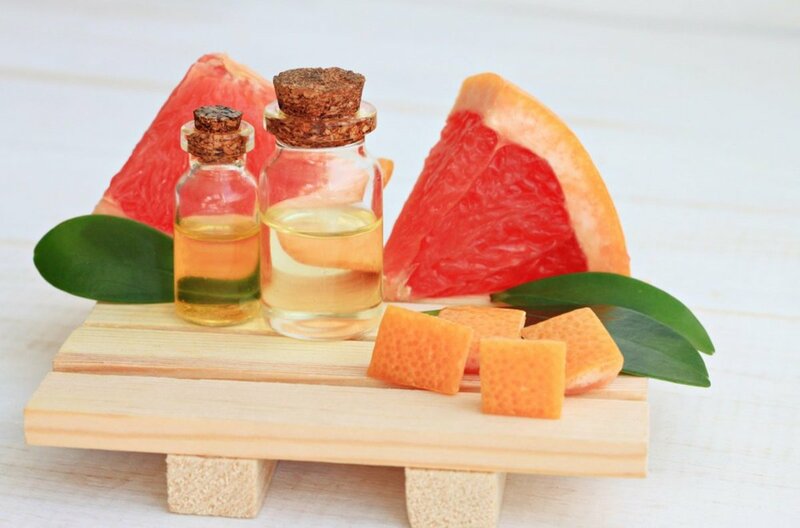 Those taking certain medications, including antidepressant and blood pressure medications, should be wary of using grapefruit essential oil, which may interact with these drugs. The essential oil can also make you more sensitive to the sun. The verdict? Use grapefruit essential oil to give yourself an extra boost, but don&apos;t rely on it as a magical cure. Neal’s Yard organic grapefruit essential oil, which comes from the UK and is very highly rated, has won numerous awards, and is one of the purest on the market. Mountain Rose organic grapefruit essential oil, which is certified organic, pesticide-free, and made by a zero-waste, eco-conscious company. Grapefruit seed extract is made from the seed, but also the pulp and pith of grapefruit. 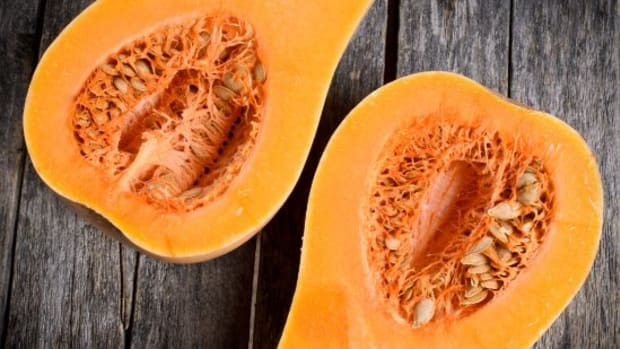 It is known for its antibacterial and antifungal properties. However, grapefruit seed extract is not recommended by all experts, particularly given the likelihood that it could be contaminated with benzalkonium chloride, parabens, and triclosan. Many experts say that there are no truly pure iterations of this extract, as most companies making the extract combine a grapefruit seed slurry with synthetic preservatives. Some experts even claim that the grapefruit seed extract has no antimicrobial properties at all, and that it is in fact these preservatives that add all of the benefits associated with the extract. 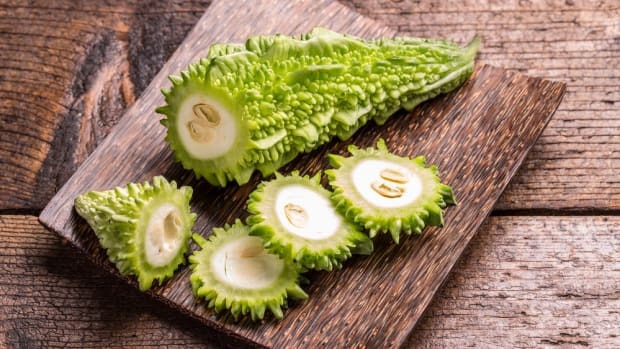 If you choose to use this extract, just be sure you&apos;re opting for the cleanest, purest product, especially if you are planning to use it orally. Pure Encapsulations makes a pure, capsule form of grapefruit seed extract that contains only grapefruit, ascorbyl palmitate, and cellulose. Botanical Beauty makes a grapefruit seed oil, which is a slightly different product, but it is less adulterated than most extracts on the market. Take full advantage of all of the benefits of grapefruit with our favorite recipes featuring the delicious, nutritious fruit. Grapefruit is perfectly paired with arugula and nutty parmesan in this salad. 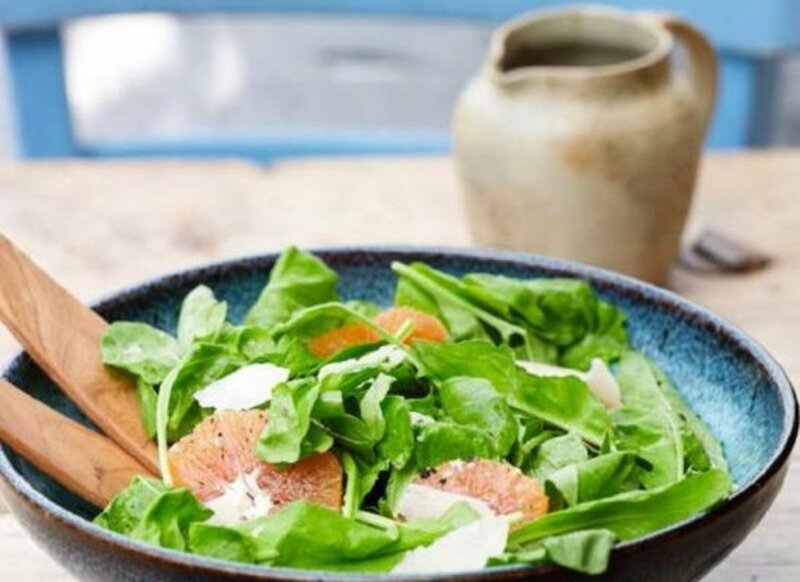 The slight bitterness of both the arugula and the grapefruit play off one another, with the former adding pepperiness to this salad and the latter a sweeter note. The parmesan, along with the fresh vinaigrette, adds just the right amount of fat to unite these flavors. 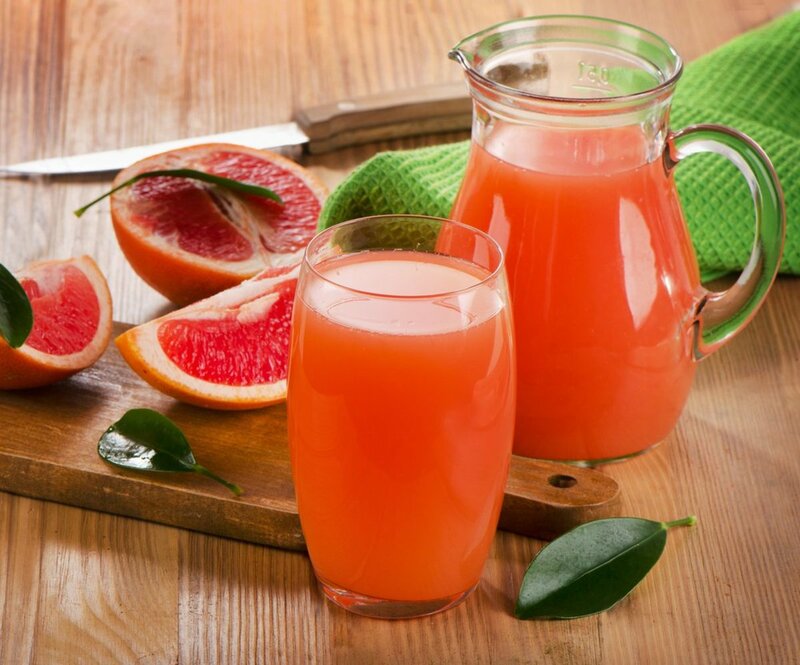 Homemade grapefruit juice can help you take advantage of the health benefits of grapefruit quickly without the added sugars that store brands contain. This grapefruit and ginger juice recipe combines grapefruit, fresh ginger root, Swiss chard, carrot, and just enough sweet orange to bring all of the flavors together. The result is a great pick-me-up first thing in the morning. 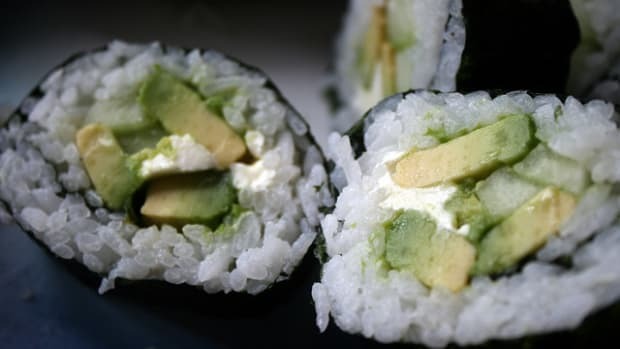 Grapefruit is slightly bitter and sour, making it the perfect match for smooth avocado. 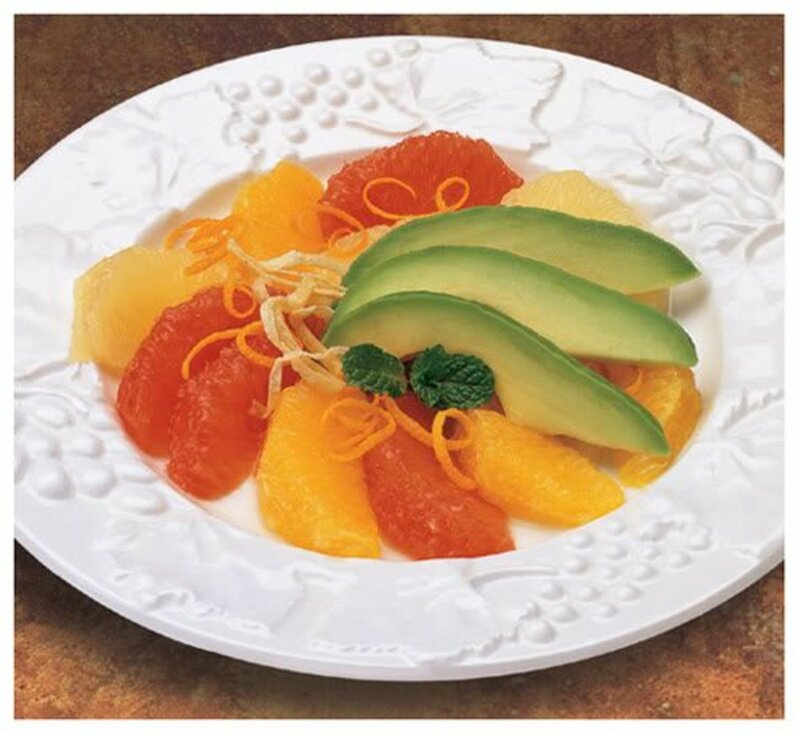 The touch of sweetness in both of these fruits makes this grapefruit salad a unique and tasty treat for lunch or dinner. Infused waters are a great way to hydrate and stave off snack cravings. 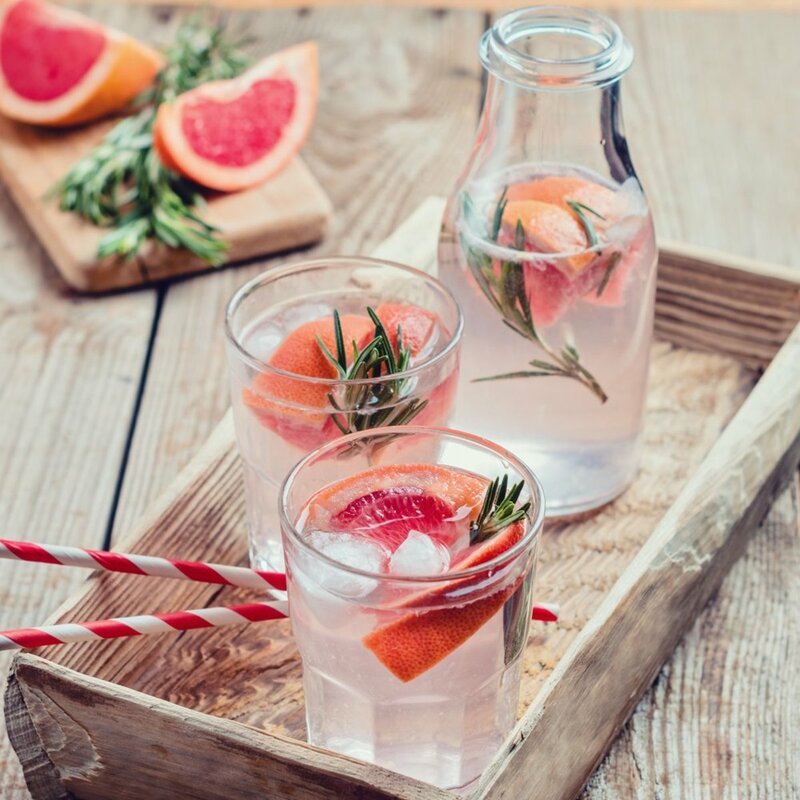 This grapefruit and rosemary water is slightly sweet, removing your desire for dessert or a sugary snack and helping you to fulfill your weight loss goals by sipping on something low in calories and high in vitamins and flavor. Grapefruit isn&apos;t alone in this salad: it&apos;s paired with pomelo, orange, Meyer lemon... basically any citrus you can get your hands on. The resulting recipe is positively bursting with vitamin C and antioxidants -- especially given the addition of pomegranate. Have we missed any of your favorite ways to use grapefruit? Share your recipes with us via Facebook or Twitter.